Do you remember all the gifts you have given or received during the holidays? Probably not. Gift cards, sweaters and DVDs can only go so far in life. 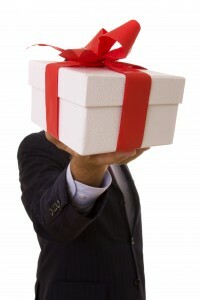 Stop shopping this year for forgettable items and give something outside the (gift) box. Though you may not find it at the top of any list, the gift of life insurance can be the most beneficial present a person can receive. It will not get lost in a pile or returned to the store. It is something actually needed and will be something one never forgets. Economic hardships and strict budgets, especially during the holiday season, are easy excuses to delay the purchase of life insurance. As of now, 11 million households in the United States with children under the age of 18 do not have life insurance[i] . The financial commitment does not provide any immediate gratification or any tangible entertainment. The fact of the matter is, the true blessing of life insurance comes when a family remains to be provided for when a provider passes away. Through life insurance, income is replaced to pay for bills, a family business, a home, a car, children’s education and other unforeseen costs. Alleviating financial stress on the already hard journey of losing a loved one is priceless. Protecting your family’s financial future is a gift that keeps on giving. If you have a life insurance policy, then consider starting your children or grandchildren in the right direction financially. The younger in age for a life insurance client, the lower the premium, the longer it can grow. Starting life insurance early also minimizes the risks that come with age. For example, due to injury or illness developed later in life, some people are unable to obtain life insurance. It’s Affordable: According to the LIFE Foundation, over two-thirds of life insurance owners are paying under $100 a month and nearly half are paying under $50 a month. Insurance agents are prepared to work with you and your budget to create a policy that works best for you and your family.